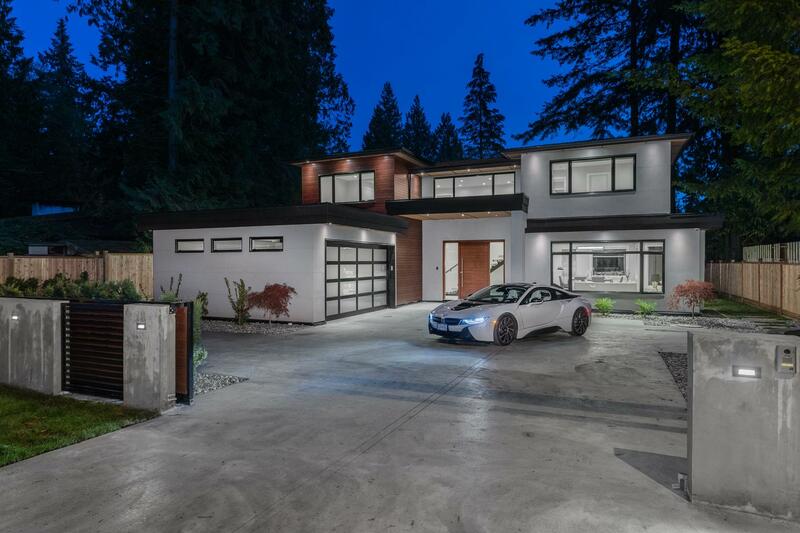 STUNNING NEW contemporary home in Edgemont Village by North Shores own Buildya DEVELOPMENT. This almost 5000 square foot, 4 bedroom up is in the centre of Edgemont Village....steps away from everything life has to offer. This BuiltGreen home has a gated driveway entrance with 8 car parking leads into a beautiful foyer entrance and fantastic open concept great room. Kitchen is perfectly positioned with living room on one side and family room on the other. Dinning room is also perfect with additional kitchen for those Thanksgiving/Christmas occasions. Office completes the main floor. Downstairs hosts an entertainment bar area, rec room and media room. 2 bedroom suite rounds off the house for in laws or rental opportunity!